Press release — April is going to be a busy month for the modest fashion industry. 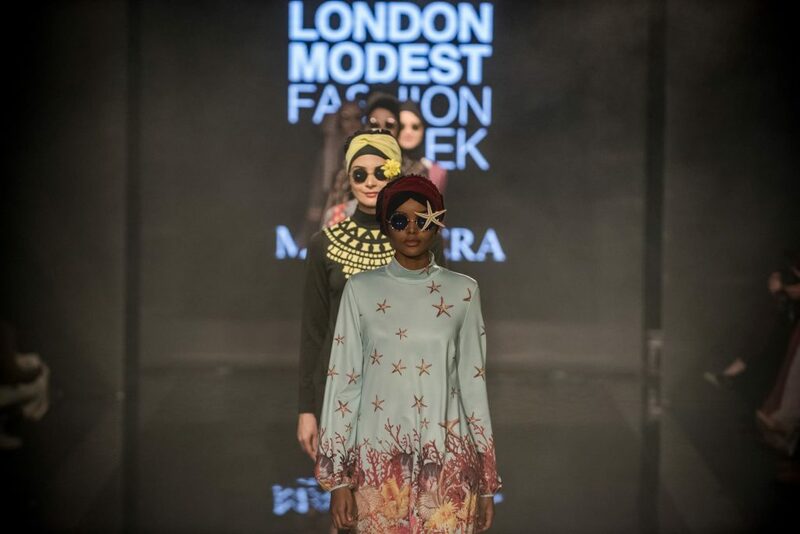 Istanbul will follow London to showcase its 2nd edition of Modanisa Istanbul Modest Fashion Week, IMFW. The most anticipated highlight of the week will be Halima Aden, Muslim supermodel, launch of fashionable headscarves in time for IMFW. So far, Aden has walked the runway for high-fashion brands like Max Mara, Alberta Ferretti and Kanye West’s Yeezy. She also became the first hijab-wearing model to grace the cover of British Vogue in the publication’s 102-year history in 2018. Halima Aden will launch her first fashionable headscarves for Modanisa’s IMFW. Now, the 21-year-old is breaking another boundary by adding “fashion designer” to her ever-growing multi-hyphenate title. Aden has designed a 27-piece capsule collection of fashion headscarves that will launch at Istanbul Modest Fashion Week that takes place on April 20-21, 2019. Other than Aden, there are other labels, established and emerging from Turkey and abroad to showcase their latest collections. 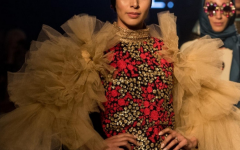 Among those debuting their new Ramadan collections on the Istanbul runway will be Turkish designers Nihan Peker, Halil Gül and Minel Aşk, the UK‟s Till We Cover, and UAE‟s Rabia Zargarpur, who is also collaborating with Modanisa under her pioneering designer label Rabia Z. At the forefront of ethical and sustainable modest fashion, Dubai-based Zargarpur has designed a versatile Rabia Z x Modanisa capsule high-street collection with her signature effortless-chic aesthetic and breathable fabrics. Called „Basics, Re-imagined‟, this new Rabia Z line transforms basics into high fashion for every woman. Zargapur capsule consists of dressed-up long organic t-shirts paired with eco-friendly jeans, and chic shirt-dresses and pants in sustainable Tencel and high-quality cotton-sateen, as well as some exclusive pieces for Ramadan/Eid – all within an accessible price range for Modanisa. Bridal wear will also make its debut on the catwalk at IMFW. Designer Halil Gül is behind the new M Wedding collection that includes dresses for both brides and bridesmaids, headscarves and accessories. Using organic fabrics, Gül‟s 190-piece collection will fuse “glamour with chic romantic and boho styles” at affordable prices. 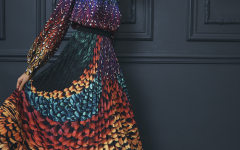 The venue has also been confirmed, with catwalk shows, panel debates and the modest fashion pop-up market all taking place at the multi-use Zorlu Centre in the heart of the city. The European Bank of Reconstruction and Development (EBRD) has become the latest investor in Turkish e-comerce fashion portal Modanisa.com, which has received its second global investment within three months, followed by Goldman Sachs investment. The platform is set to carry more Turkish ready-to-wear brands to the world with a new investment. The EBRD is a major investor in Turkey – its €7 billion Turkey portfolio is the largest among the 38 economies where the bank is active. Since 2009, the EBRD, which supports “the transition to open, market economies, whilst fostering sustainable and inclusive growth”, has invested over €11 billion in various sectors of the Turkish economy. Almost all have been investments in the private sector.